This weekend, our student are busy wrapping up the research seminar Hannah Arendt’s The Crisis in Culture: It’s Social and It’s Political Significance in Berlin. On Saturday, November 19th, General Public is hosting the closing gathering, organized by Jeremiah Day and including a final seminar, a dinner and a party. General Public is pleased to host the closing event for this yearlong project exploring the intersection between Hannah Arendt’s work and cultural practice: a flowing evening of informal presentation, discussion and exchange. After an April seminar in London, the May General Public series, and now an autumn of work in Amsterdam, the commemoration of the 50th anniversary of Hannah Arendt’s key text on culture will close with reports from participants of the different aspects, and presentations of ongoing research projects underway around the text from the Vrije Universiteit, Amsterdam. 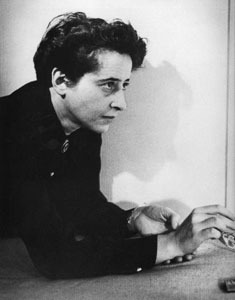 The work of the German-American political theorist Hannah Arendt is widely acknowledged in contemporary social and political debates, and yet her unique understanding of the inter-relationship between cultural practice and the polis has been largely overlooked. “The Crisis in Culture: It’s Social and Political Significance,” published in 1961, was Arendt’s contribution to the debates of her time concerning avant-garde and kitsch, high and low culture. This fiftieth anniversary serves as an occasion to take up this text, explicate and elaborate upon it, bringing Arendt’s ideas into dialogue with the questions faced in contemporary thinking on art and politics. – 17:00 – Introduction & Research Project Presentations – An opening talk by Jeremiah Day followed by: Roel Griffioen on the hopes and realities of Amsterdam post-war urbanism; Francesca Lacroce on the immigrant artist; Svea Juergenson on public art as memory and amnesia; Angela Bartholomew’s comedy on the rhetoric of art-funding; and publication launch from Vincent van Velsen, dealing with philistinism at the Louvre. – 18:30 – Report from London and Amsterdam – reflections from the artist Marina Stavrou who uniquely attended both the London seminar as well as the reading group this fall in Amsterdam. – 20:00 – Which Text? – Speculations on the different versions of Arendt’s culture essay – moderated by Jeremiah Day, featuring Sumarty Schiffer, Vincent van Velsen and response by Jesse Van Winden and Evelyn Austin. – 20:30 – Arendt in Berlin, Again – Michael Schultze and Jeremiah Day will reflect upon the May seminar at General Public, with response by Gertrud Sandqvist.